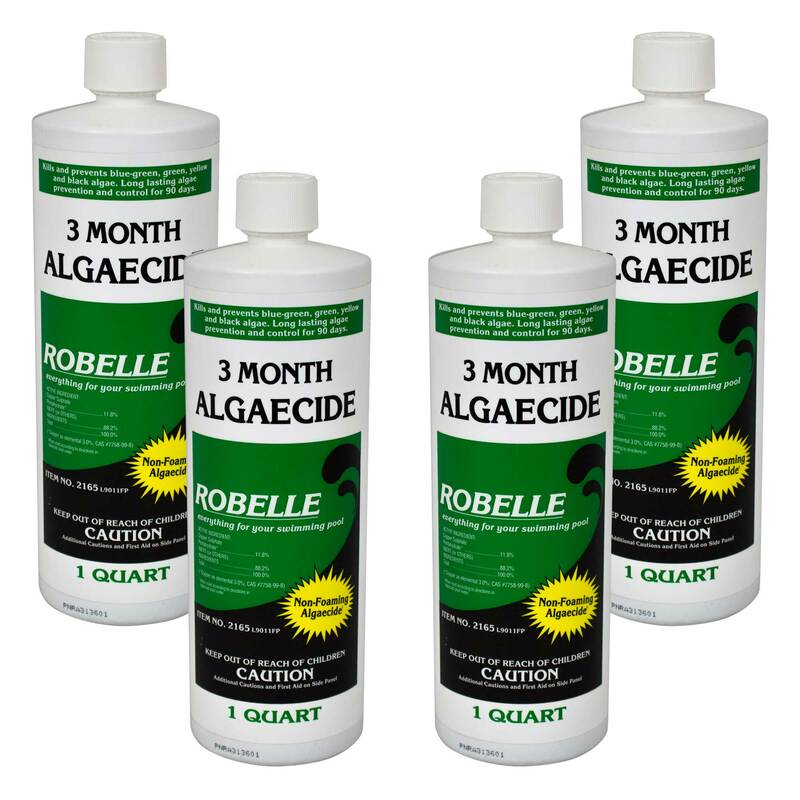 The extra-strength formula of Robelle 3-month Algaecide kills all types of stubborn algae, including black, mustard, pink and green. 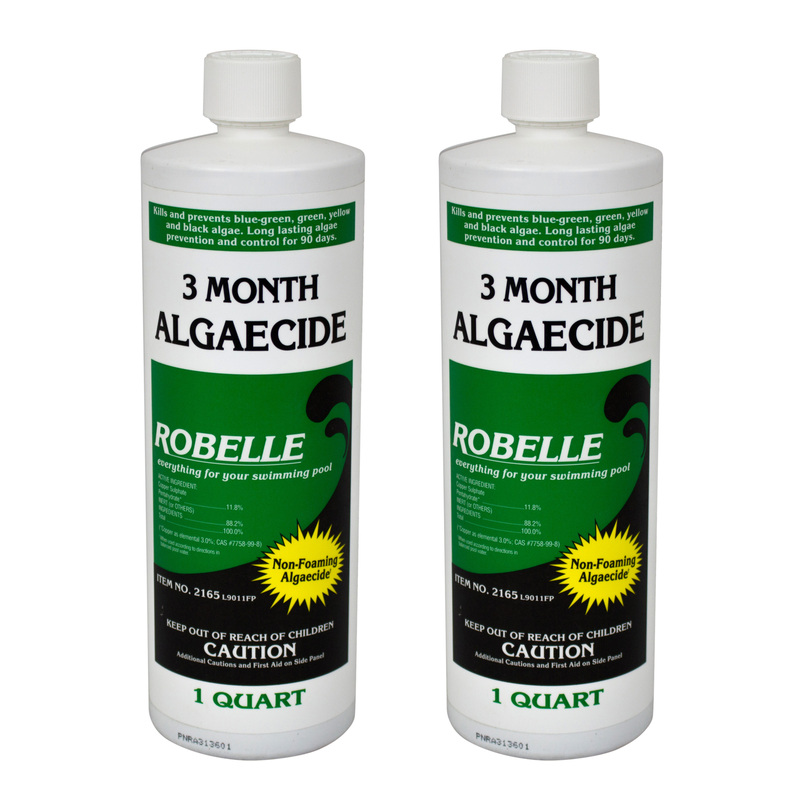 This product is non-foaming, non-staining and it significantly clarifies pool water. 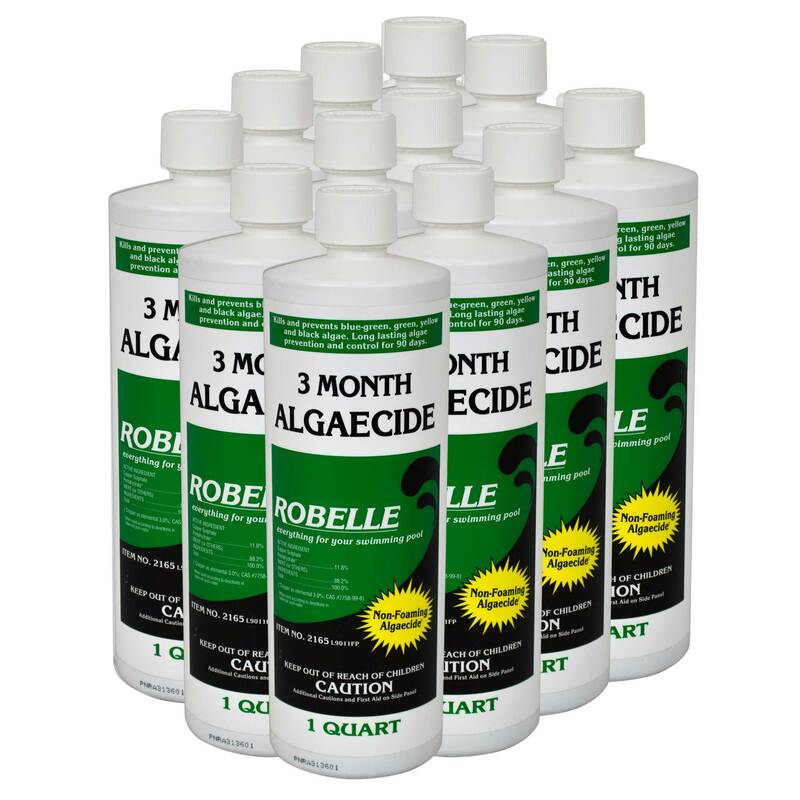 Long-lasting, 11.8% copper algaecide prevents new algae growth for a full 90 days. Dosage: 16 fl. oz. 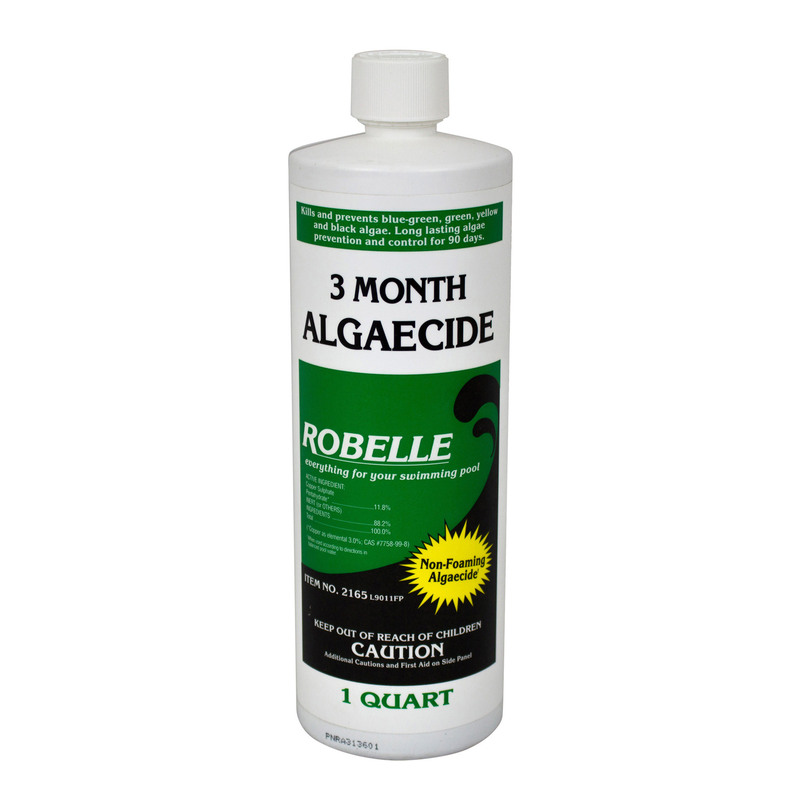 per 10,000 gallons of pool water every three months will prevent algae growth in all pool types.